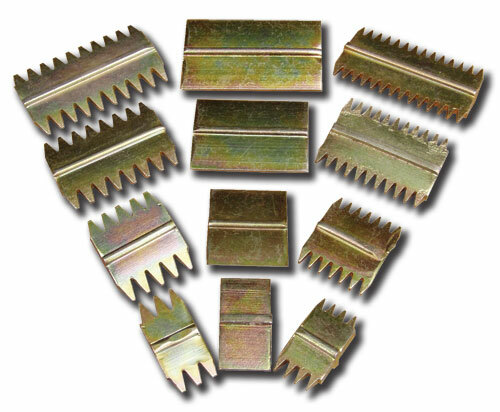 These hardened steel inserts are an ideal tool for cutting rock, trimming stones, shaping and chasing out channels. They are simply pressed into the tool being used, either Hammer or Chisel, and press out sideways when blunt. 3 variants of comb are available. Stone with 5 teeth per inch, Marble with 7 teeth per inch, and Plain which have one cutting edge only. All combs have two edges per tip.